If you have both cats and kids in your home, you know that some diligence is required to help them get along respectfully with one another. It goes both ways—you must teach your child how to read feline body language and to treat pets gently and with respect while monitoring that your child isn't injured by the cat. Cat bites are always dangerous, and cat scratches can be, too, especially if they occur on the child's eyes. First, be sure to supervise interactions between your child and your cat until you're sure they get along well. 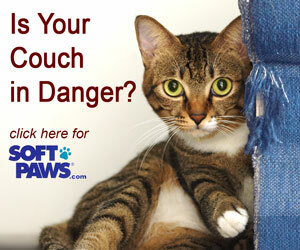 Don't leave a baby or young child alone with a cat because injuries can happen quickly. Next, focus on teaching your child about feline body language. A cat that is whipping his tail back and forth quickly, has his ears back, or is hissing should be left alone. Enforce the rule that a cat shouldn't be pulled on, hit, or kicked at any time. The child should not be allowed to chase or follow a cat that is attempting to leave a situation. Model proper behavior toward cats by always using a positive, gentle tone when you talk to and interact with your cat yourself. Children should be taught not to try to interact with a cat that is using the litter box, sleeping, eating, or drinking. This is a good rule to enforce for all pets. Teach your child to use wand toys to interact with cats. This keeps distance between the two and helps bond them. It also allows the cat to choose whether to play or walk away. Finally, provide your cat with plenty of stress-relieving opportunities like scratching posts and interactive playtime with you. Also, make sure he has spots to retreat to if he doesn't want to interact. High perches are especially useful for this because cats like to get up high and watch what's going on below. A cat cave tucked into a corner can also be a good idea. Your child should know that, when your cat is in those places, he isn't to be disturbed. 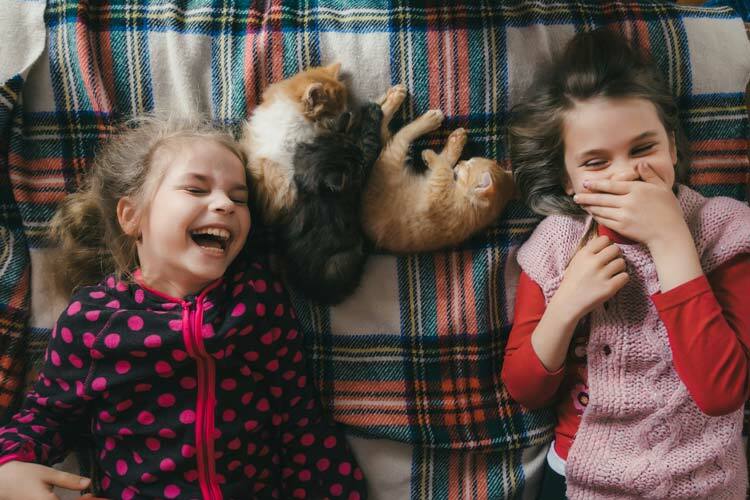 When you have a very young child in the home, you might wish to consider setting up a special room for your cat, loaded with everything he'll need to be safe and happy, such as a litter box, food and water, scratching posts, and toys. That way, you will have a sanctuary in which to put your cat if you can't directly supervise him and your child for a few moments. While your child and cat are learning how to get along, putting Soft Paws® vinyl claw caps on your cat can reduce the chances that your child will suffer from a scratch. They can protect your child's skin and eyes if your cat tries to scratch. This will allow you time to correct and guide your child, too. Also, Soft Paws® can help protect from accidental scratches that might happen while your cat is playing with or jumping onto or off of your child. These scratches, even though they aren't done with intent by the kitty, can cause a child to fear or dislike cats and negatively impact the relationship between the two. 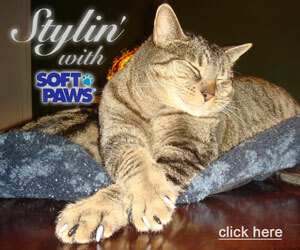 Soft Paws® are easy to apply, don't hurt your cat or interfere with retraction and extension of the claws, and can stay on for four to six weeks. They also come in a variety of colors and color combinations, which can be fun for you and your child.